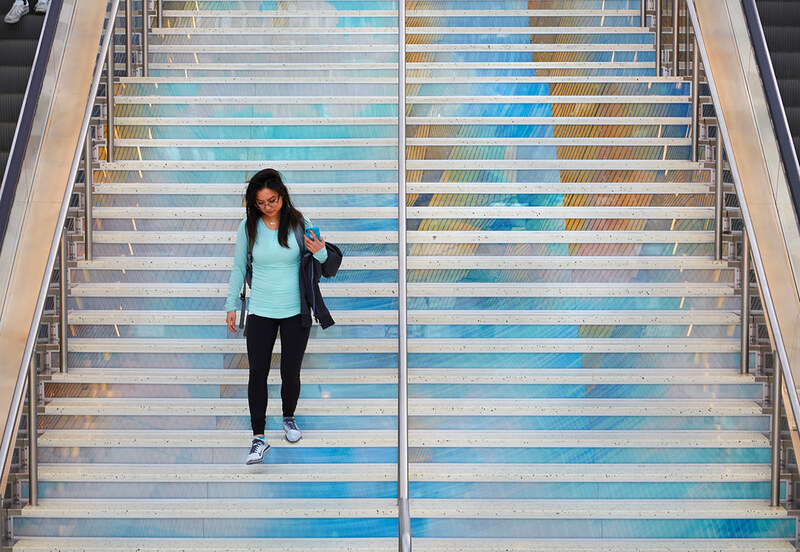 SKYSPACE is an interactive art installation in the interior of the Anaheim Regional Transportation Intermodal Center (ARTIC) in California. 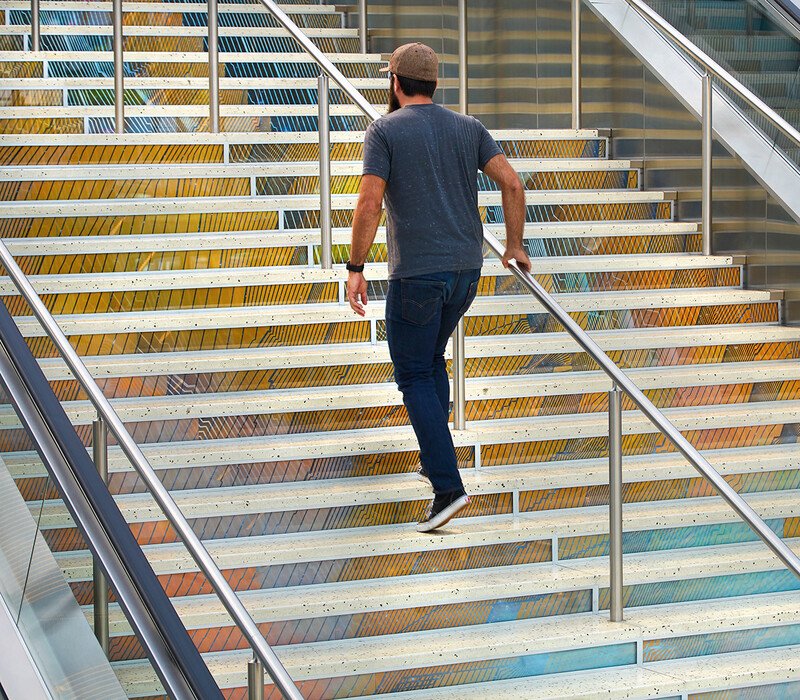 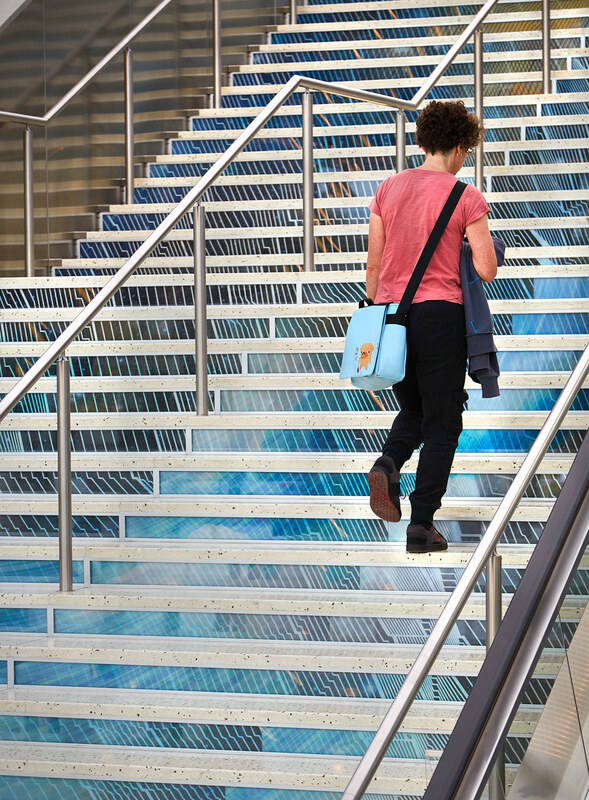 The project creates a dynamic holographic experience encased in glass within the main staircase. 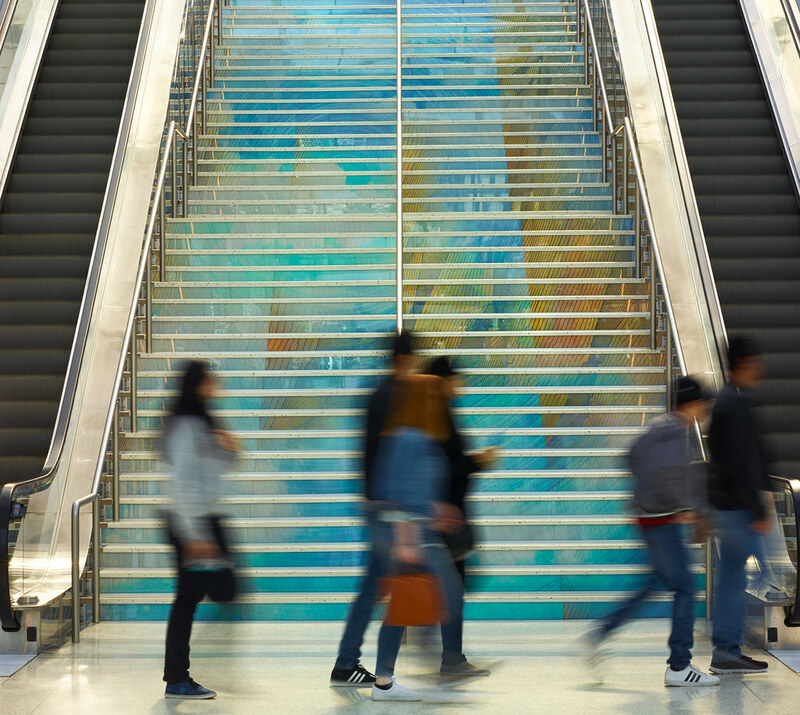 The design team overlaid day and night images with a map of the train schedule, representing the horizontal passage of time. 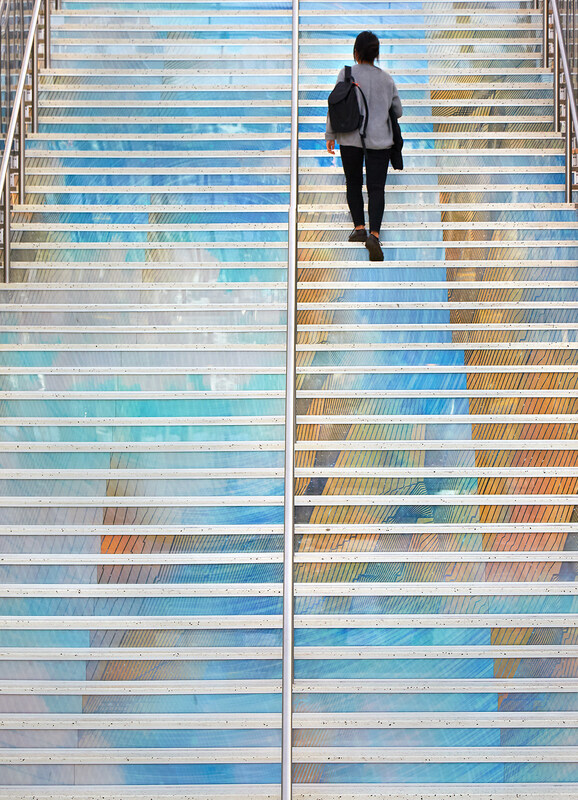 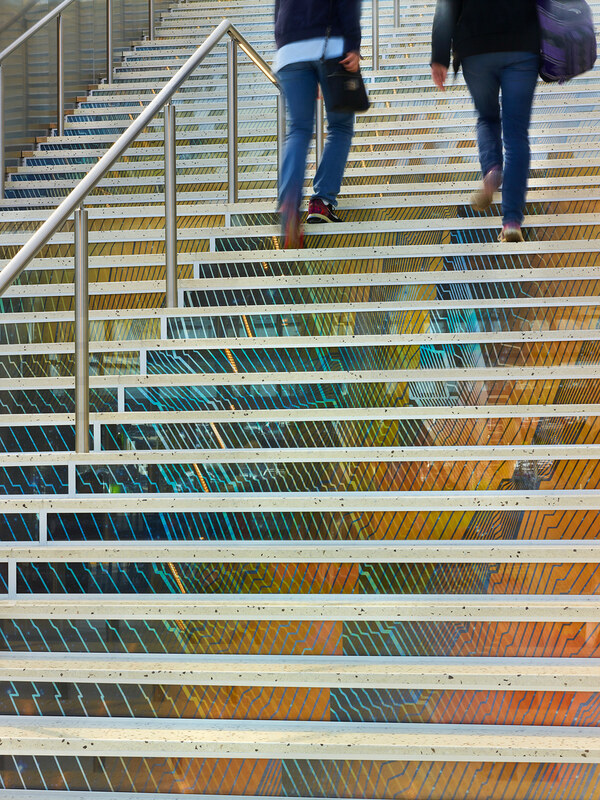 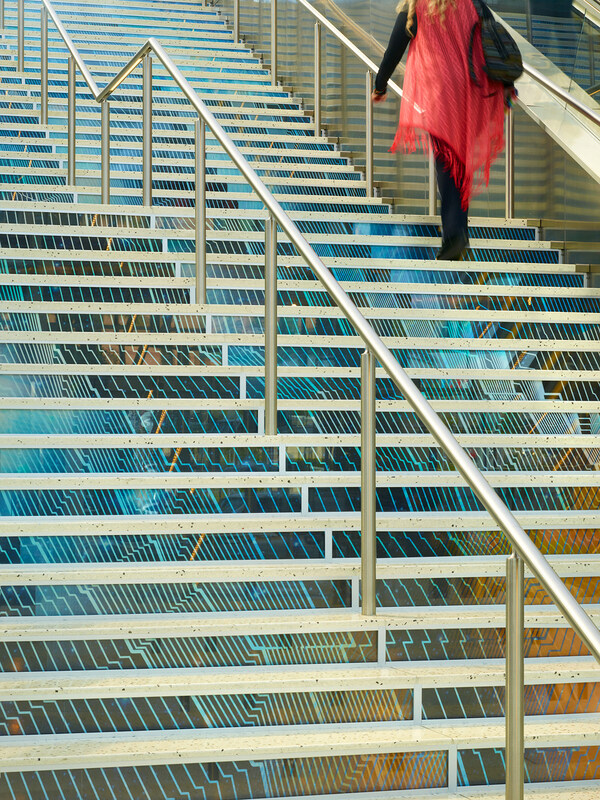 When pedestrians ascend or descend the staircase, atmospheric images transform with different conditions of time and phenomena. 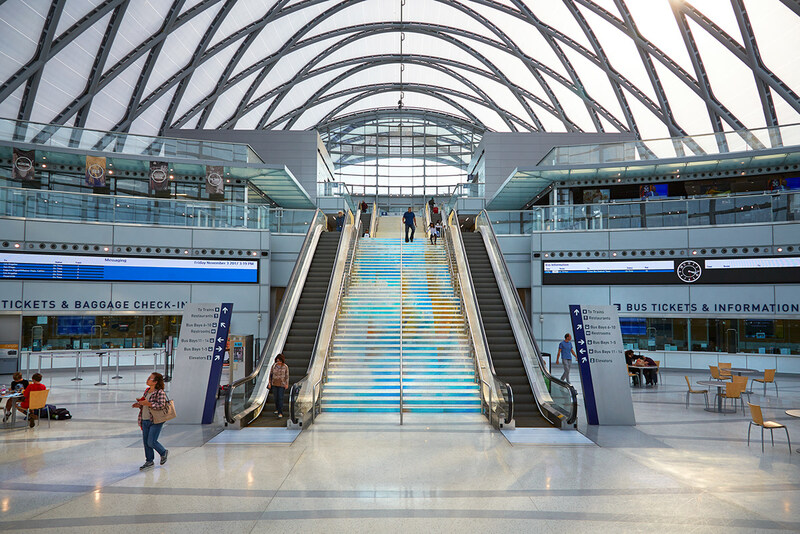 The resulting integrated sculpture transforms this architectural feature into a symbol of transformation and movement in this transportation hub.